Paul Curtiz was born in 1961 in Rotterdam (Netherlands) from a French mother and a Dutch father. He grew up in both Holland and France, then flew off to the USA where he studied for a year before settling in Brussels, Belgium. 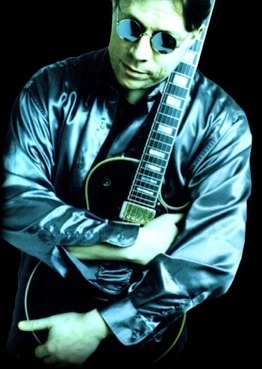 Singer, songwriter and guitarist in his own bands (he was the singing half of duo Owen Curtiz), he has been an active member of the music scene for over 20 years. From Brussels to Beirut to Madrid via Hamburg and New York City, he has played hundreds of gigs all over Europe and beyond with (amongst many others) belgian stars Perry Rose and Marka. With them he also plays a yearly charity gig as "The Fabulous Goalgetters", recording a live album at the famed Brussels venue Ancienne Belgique. In 2007 Paul wrote and produced Belgium's entry for Eurovision performed by The Krazy Mess Groovers. Paul has been busy in the advertising industry, recording music, voice over talents and actors. Always keen to explore new territory, he is a very active developer of internet music collaborations, a new way to pool musicians across the globe and get unexpected talent together. As of 2009 he is also an audiovisual producer for Tipik Communications agency, in Brussels.